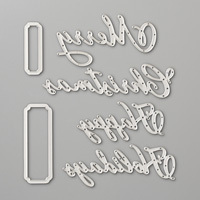 What is your stamping style, sleek and modern, cute and colorful, or soft and vintage? 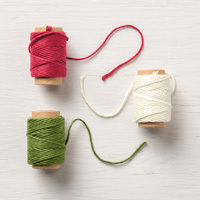 If you chose vintage, you will want to try this last-minute Christmas card idea! I remember when cross-stitching was all the rage and I made several 'pictures' to hang on my walls back in those days. I loved the quiet as I crafted and to see my picture coming to life as I wove the colored yarn in those tiny cross patterns. I was a school teacher at that time and I even remember my principal telling me that he loved to cross-stitch too. He found it so relaxing as did I. 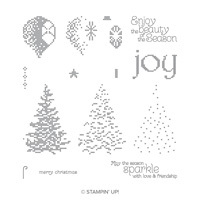 The Cross-stitch Christmas stamp set stands for tradition, dedication, handmade decoration, and above all, love. Simply perfect for your vintage holiday projects! Let's have a look at the stamp set - click on the small image to order it over at my online store - after all, vintage never goes out of fashion and you will have this set already for the next holiday season too! 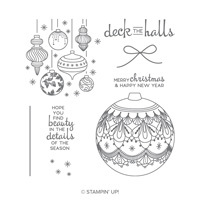 This is a photopolymer set so you will be able to achieve perfect placement when stamping the bauble and then the 'hook' which means you can do so using different ink pads. The card base was embossed for extra interest - you can try that idea or simply stamp the background if you don't yet own a Big Shot. Here's the card - I hope you give it a try! Emboss the larger piece of Shaded Spruce CS, then glue it onto the front of the card base. Stamp the side and top of the ornament as well as the hook in Crushed Curry ink. 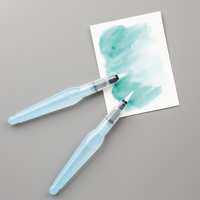 Stamp the sentiment in Shaded Spruce ink. Stamp the small star in Crushed Curry ink onto the flap of the envelope. Glue the stamped layer onto the Shaded Spruce layer. Glue the Shaded Spruce layer onto the Crushed Curry layer. Glue the Crushed Curry layer onto the Cherry Cobbler layer. Glue the Cherry Cobbler layer onto the embossed Shaded Spruce layer. Lining up the stamps is easy when you use the Stamparatus. I kept the stamps on the plates so I could make multiples of this card. So tell me - sleek and modern, cute and colorful, or soft and vintage for Christmas? Leave a comment and tell me which Christmas style you love best! What products would you choose for this fun challenge? That's what I would love to hear from you - which products come to your mind when you see this week's Paper Craft Crew card map challenge? I started by choosing my paper layer - I had two full sheets of the Festive Farmhouse paper that I hadn't used yet. 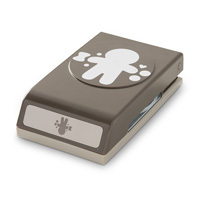 Click below to place an order for any Stampin' Up! products - don't forget there is a huge year end sale happening right now! Now it's your turn. What would you choose for this card map challenge? Leave a comment below and let me know! How do the holidays inspire your cards? This week's Paper Craft Crew card map challenge is wide open! This fun challenge below has me ask: how do the holidays inspire your cards? For me, it is my home decor. A few years ago I bought this gorgeous paper mâché reindeer with a huge red velvet bow and I set it beside my fireplace every year. 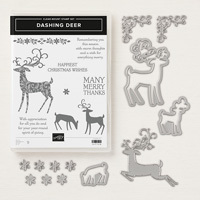 The Dashing Deer bundle was an instant 'gotta have it' for me because the reindeer stamps reminded me of my home decor deer. So when I saw this challenge I knew I needed to use Dashing Deer. But I chose to use a different paper for my deer die-cut: Sparkle Glimmer paper! And as I had several bits of the Festive Farmhouse designer paper around I decided to use some of this appear on my card. Here's my card; don't miss the Falling Softly embossed layer - a nice final visual touch. Why not try my layout to make your cards this year? To see other cards created using this fun inspiration challenge, click here. If you love to color, I have a really colorful Christmas card for you to try today! Deck the halls and everything else with beautiful baubles, bursting with color and delight! Then dust off your Stampin' Blends: Pool Party and Highland Heather. 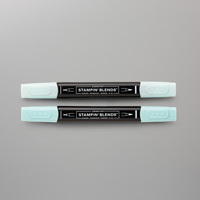 Remember when you color with your Stampin' Blends you need to stamp your images with StazOn Jet Black ink so the ink doesn't run when you color. Fold the Highland Heather card stock in half to form the card base. 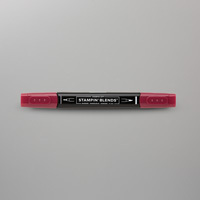 Use the Dark Highland Heather Blends marker and colour the strip of white ribbon. Use long strokes with the brush tip. Set it aside to dry. 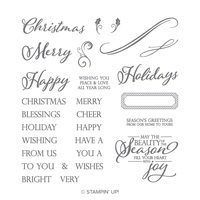 Stamp the large ornament and the ornament string, with Black Memento Ink, on the white cardstock. Stamp the small snowflake image, with Versamark ink on the card base. Stamp the saying, with Black Memento Ink on the right hand side of the card base. Color in the ornament with all four Blends markers, leaving some areas white. Attach the colored ornament to the Pool Party mat and then to the front of the card with dimensionals. Add some Wink of Stella to parts of the ornament. Tie the ribbon into a bow and attach it with glue dots. 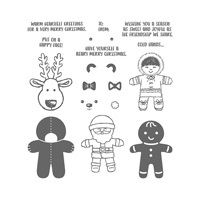 One of my favorite Christmas stamp sets is Cookie Cutter Christmas because it is so much fun to craft with. Creating these delightful characters will brighten even your coldest winter days. This simple Christmas card will guarantee a happy smile from anyone who receive it. And it is easy to create using your Big Shot and the Cookie Cutter Builder punch. Very Vanilla: 8 1/2" x 5 1/2"; 4" x 2 1/2"; 2" x 3"
Mossy Meadow: 2" square; 1/2" x 5 1/2"
Festive Farmhouse (147820): 5 1/2" x 1"
Watch my video to see step-by-step how to make the card - and don't miss a second card idea at the end and additional tips along the way! Today I am excited to share something I discovered - a creative way to stamp words! I discovered this almost by accident as I was designing and creating the card below. I loved the designer series paper pattern and wanted to feature it as a main layer for my card. So I cut and adhered it to my card base. I was thinking about an image for the front of my card and decided to use a solid Whisper White deer from the Detailed Deer thinlits pack. I wanted my die-cut deer to stand out from the designer paper pattern so created a couple of layers (Whisper White and Shaded Spruce) to make that happen. And that's when it hit me. I would try stamping right on the deer! Here's my card and I can honestly say I love it! I featured this card at my November Crafternoon class and my customers loved it too! Using SNAIL adhesive, adhere Under the Mistletoe layer to Whisper White card base. Layer larger Shaded Spruce and Whisper White layers and adhere using SNAIL. Cut banner ends to Whisper White strip. Adhere to Shaded Spruce layer and then adhere final Shaded Spruce layer on top. Diecut Whisper White deer. Using Shaded Spruce ink, stamp ‘Merry’ onto deer body. Adhere deer image to card front using Stampin’ Dimensionals. If you want to place an order at my Online Store, click the link below - don't miss all the items on year-end clearance! In today's video I am going to show you how to create a beautiful Merry Christmas to All layered effect for a Christmas card. You can then use this technique for other card ideas using any word thinlits you have at home. I was inspired for this card idea by a card on page 4 of the Holiday Catalog - my card below is my own twist on this technique. This Christmas card layout is perfect for using large patterned holiday paper as a layer on top of that will soften and draw the eye forward. If you'd like to see more Merry Christmas to All card ideas, let me know in the comments section under this blog post - I'd love to hear from you! 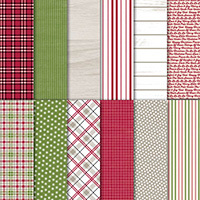 Cherry Cobbler: 8 1/2" x 5 1/2; 4" x 2"; 5" x 1 1/2"
Mossy Meadow: 5" x 1 1/2"
Festive Farmhouse (147820): 4 1/4" x 5 1/2"
Very Vanilla: 5" x 2 1/2"
Vellum Cardstock (101856): 4 3/4" x 3"
Other: Big Shot, Magnetic Platform, Multipurpose Adhesive Sheets, Take Your Pick Tool (144107), Festive Farmhouse Cotton Twine (147888, Cherry Cobbler), SNAIL adhesive. Watch the video below to learn how to create this layered effect and to see what I created for the inside of the card as well.